All I could think of when watching the announcement trailer for Minecon 2016 was Aphex Twin’s Windowlicker. Maybe it’s the limo; maybe it’s the hair; or maybe it’s just how weird the whole thing is. 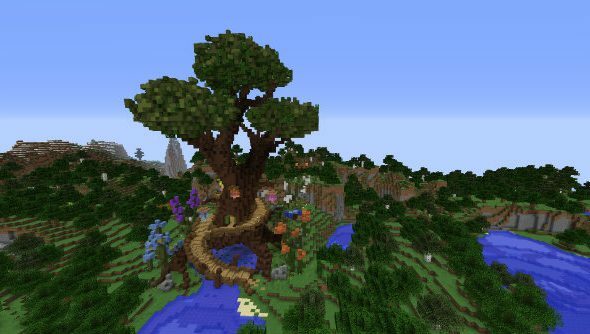 This article of ours about the best Minecraft seeds is far better than the Minecon announcement video. How do you announce Minecon, though? Maybe a video montage of blocky characters, or perhaps get a few famous YouTubers to record a few lines for a video to try get a buzz building around the event. Well, this year it’s being announced by a man and woman – both with silky long hair – getting out of a limo and attempting to walk the red carpet. As soon as they’re out they’re told they’re not in Hollywood. Minecon 2016 is being held in Anaheim, California, instead, you see. The whole video is one big joke with an unfunny punchline, like my life. Minecon 2016 takes place in Anaheim between September 24-25. More details are to come soon at mojang.com.